Editor’s Note: Answers have been edited for length. 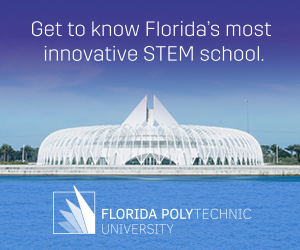 Florida Poly: What was the origin of your interest in STEM? Florida Poly: What were some challenges you faced on the way to IBM and how did you overcome them? Florida Poly: Who inspires you and why? Florida Poly: You’ve made it clear that your family is your priority. What’s the source of that decision? Florida Poly: How do you manage your work life balance? Florida Poly: What advice would you give young women considering a career in STEM? Click here to view a video about Lisa’s work.